With a huge amount of new cars being unveiled at the 2014 Geneva Motor Show here’s Parkers' pick of the top cars turning up in the showrooms this year. The widely anticipated all-new compact executive saloon from Mercedes-Benz not only promises class leading levels of interior comfort and fit and finish, but also diesel engines with low emissions. Retail prices are yet to be announced but are likely to be higher than current C-Class, though kit levels will be more comprehensive too. Mercedes-Benz is one of the first companies to launch with Apple’s Car Play that utilises the touch screen technology and user friendly functions as per an Apple iPhone or iPad. 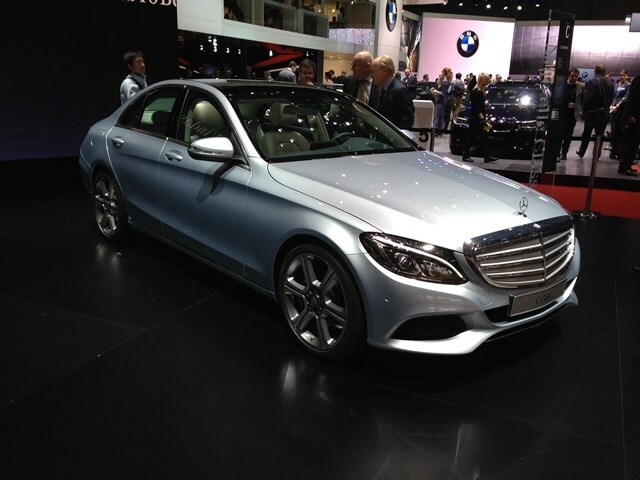 To find out more on the Mercedes-Benz C-Class click here. This is a compact people carrier though BMW are keen to promote the lifestyle aspect of the car rather than soccer mom connotations. Aimed at young families, expect lots of practical touches alongside a premium interior - especially on higher trim levels. BMW has always stuck to its rear wheel drive layout (and occasional four-wheel drive) that appeals to the more enthusiastic drive but the 2 Series Active Tourer is the first BMW that comes with the driven wheels at the front. 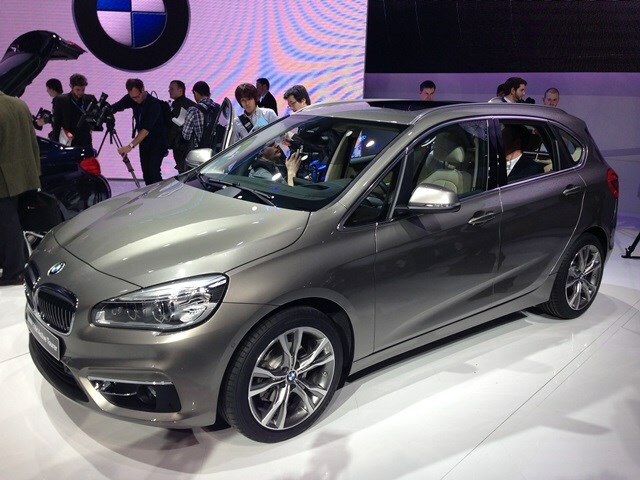 To find out more on the BMW 2 Series Active Tourer click here. 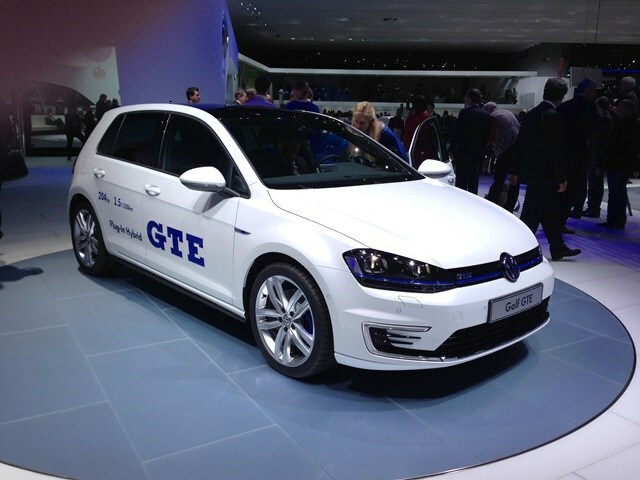 The Volkswagen GTE provides a really interesting option that mixes performance with economical running costs. It uses plug-in hybrid technology and a 1.4-litre petrol engine combined to deliver over 200bhp. That’s good enough to cover 0-62mph in just 7.6 seconds, but the real important stats are the 35g/km of CO2 emissions and claimed economy of 188mpg. While the fuel economy figure is an incredible one, any owner is unlikely to achieve them in the real world. The official test is conducted under laboratory conditions and not on the open road, so expect around half of the quoted figure in real life. Originally launched back in 1998 the TT proved an instant hit and has featured on the sales charts ever since. 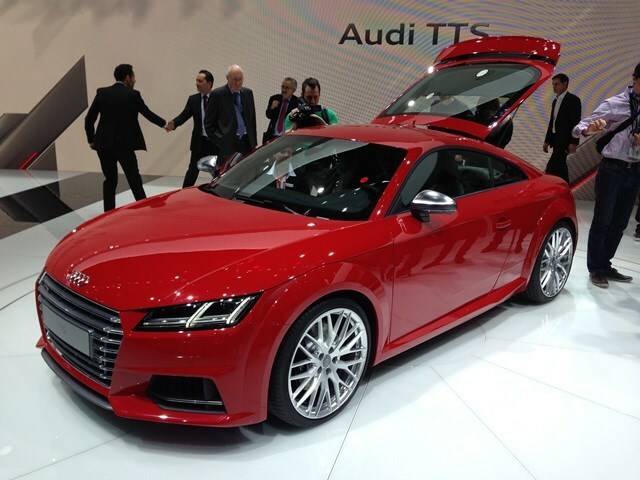 It looks like Audi has done it again with an all-new version of the TT revealed at Geneva. Audi’s 2+2 sports car will be fitted with a range of engines including a very efficient diesel engine that mixes performance with efficiency - the official figures are 67mpg and just 110g/km of CO2. The 0-62mph time is just 7.2 seconds and top speed is 146mph. The TTS is a higher performance version that can complete the 0-62mph sprint in just 4.7 seconds, but Audi has already announced a Quattro Sport Concept. With more than 414bhp Audi reckons it will accelerate from 0 to 62mph in just 3.7 seconds. The all-new city car from Renault promises compact dimensions, low running costs, agiule handling and a spacious cabin - perfect for family motoring in the city. It will be powered by a 1.0-litre, three-cylinder petrol engine that lives under the boot floor – yes it’s rear engined - as the company believes this will mean more interior space for passengers. Pricing is likely to start under £10k with emissions under 100g/km, so under current rates that’s zero road tax. 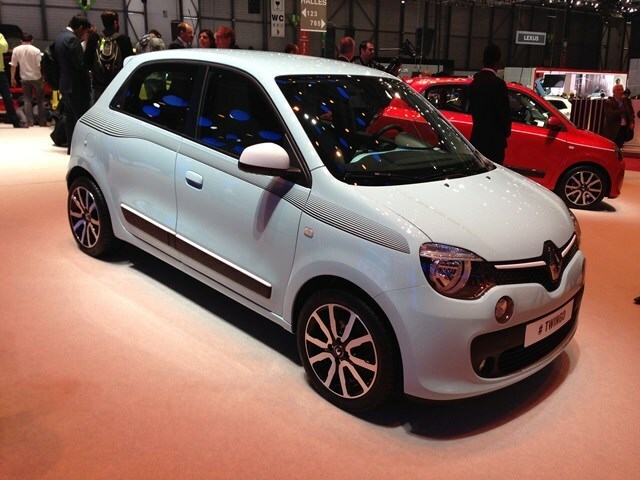 There's no word on a performance version at the moment though, so don't hold your breath waiting for a Renaultsport Twingo. 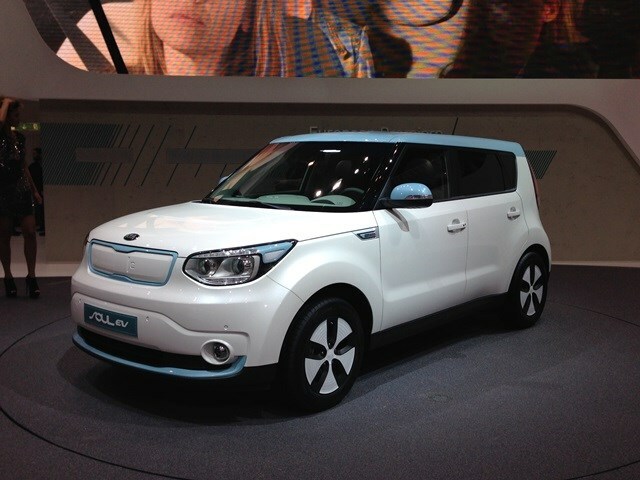 Kia has unveiled its first electric car at the show, the Kia Soul EV. Due to enter production later in the year, the new Soul EV impresses with a range of around 124 miles and the ability to reach a full charge in just five hours. Only 25 minutes will return the batteries to 80 percent charge. The Soul EV has been engineered to provide improved handling characteristics over the standard Soul with better ride comfort offered. Don't forget too that the Soul EV will also be offered with Kia’s seven-year/100,000 mile warranty. 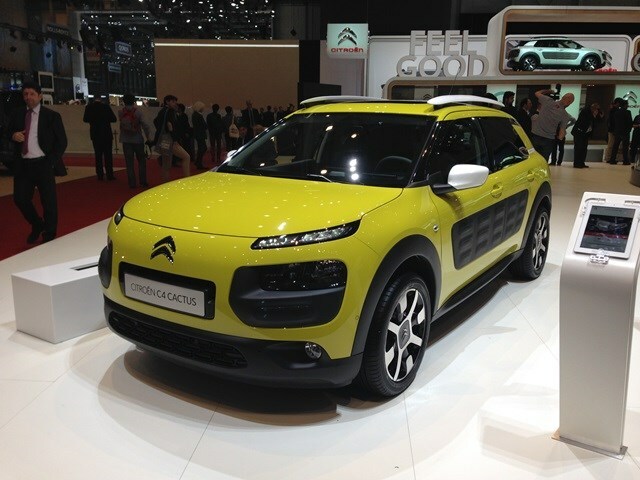 The Citroen C4 Cactus was seen before the show, but the crowds and public reaction would suggest that didn't lessen its impact. Off the show floor we're confident that it'll cause a stir wherever it goes. While the design is in your face, thanks to the airbumps that protect the car's exterior panels, what's not so obvious is this car's lightness - it weighs less than a tonne. Thanks to its light weight and use of an efficient diesel engine claimed average fuel consumption is above 91mpg. That should make for mid-70mpgs or even higher in real world driving. Not a new car but a significant evolution of one of the UK’s best-selling, medium sized hatchbacks, and so it deserves its place on any showgoers radar. In comes a new front end with a grille design as first seen on the re-launched Fiesta, plus slimmer headlights with LED daytime running lights. There’s a full range of engines including the efficient 1.0-litre Ecoboost petrol available too. 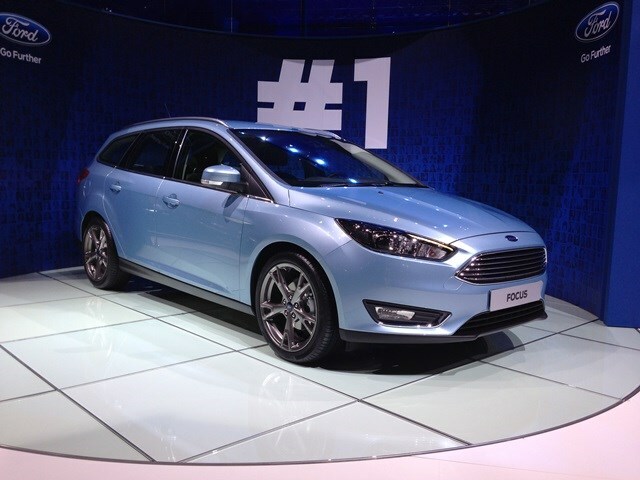 The Focus is the first car from Ford Europe that offers the company’s SYNC2’ multimedia package. This enables full smartphone integration that can be accessed by touch screen functionality.